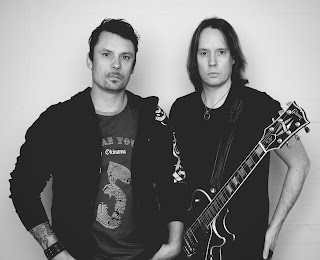 Stale Lane Releases New Song and Video for "Everlasting"
Finnish grunge flavored alternative rock band Stale Lane have released a new single and a music video to the track "Everlasting". "Everlasting", was written over 7 years ago and the demo was recorded at the same time. It was re-recorded four times over the years but what ended up being the final release is basically the demo version with the original drums and bass. There was a slight collision between the Stale Lane dynamic duo Tomi and Sami over which version would be the one to release but in the end both were happy with the result. Check the music video: Youtube: https://youtu.be/-Dhbfl-2SkA.